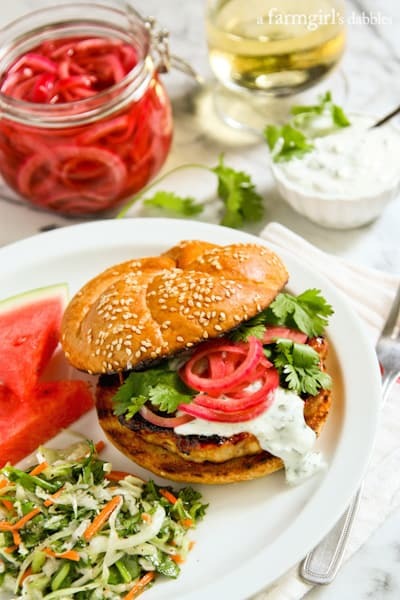 Grilled Honey Sriracha Chicken Burgers with Cilantro Cream and Pickled Onions. Yes, it’s a hefty title. But I couldn’t leave any tasty piece unmentioned. Together, they make a grand burger, full of flavors and textures that both harmonize and contrast with one another. And I promise you; it comes together in quick fashion. Especially if you already have a jar of pickled onions in your fridge! 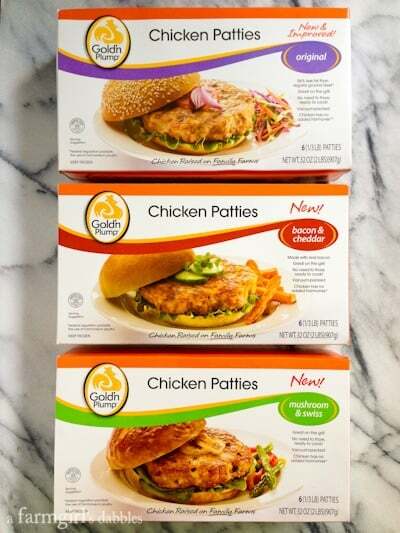 I am so glad that Gold’n Plump asked me to create a recipe using their chicken patties. If it wasn’t for their asking, I might never have found out how easy it is to deliver a delicious meal of juicy grilled chicken burgers to our family table. The frozen chicken patties weigh 1/3 lb. each, the perfect size for a regular bun. And they’re vacuum-sealed and packaged very neatly, six to a box. Each patty is separated by a piece of parchment paper, making it easy to grab just one or two for a small meal. For those of you who don’t like to craft your own patties from ground chicken meat (you know who you are! ), this is the ultimate solution. Chicken burgers just don’t get any easier than this! I like that the chicken patties can go straight from the freezer to the grill or skillet, without needing to thaw them first. And they don’t shrink up on the grill! When schedules are crazy, or when we simply want to spend our time enjoying all that summer has to offer, the convenience of these chicken patties is a welcome partner in our home. If you’ve been following along with me, you know that I’ve fallen head over heels in love with sriracha over the past year. I like to pump up the sriracha for dishes that my husband and I eat, but tame it down quite a bit for our young daughters. These chicken burgers, grilled with a simple glazing of a honey and sriracha mixture, make every single one of us happy. The glaze doesn’t come off as hot or spicy. It’s just super flavorful with a nice sticky sweetness. 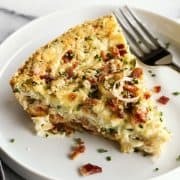 And the cilantro cream? 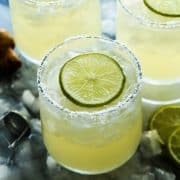 Everyone loved the creamy condiment, tangy from fresh lime juice and zest. The pickled red onions, however, are up for debate in our family. I have not been able to convince my husband and oldest daughter on the wonderful qualities of all things pickled. Our youngest is coming to stride with her momma, though. You can often find our hands dipping simultaneously into a jar of homemade pickles. Maybe some day the others will come to see the light of our pickle joy. But until then, they’ll be eating these burgers sans the zesty pickled onions. And that definitely works, too. 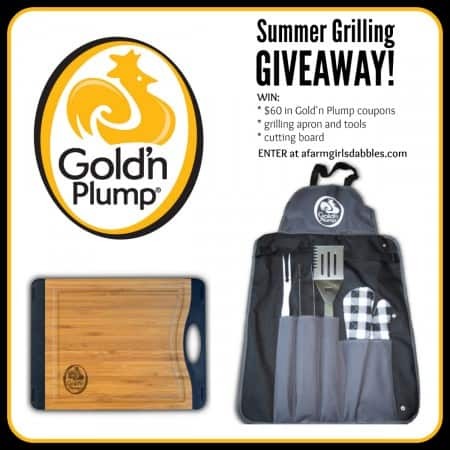 Gold’n Plump is offering up a great Summer Grilling Giveaway, valued at nearly $100! Just click here to enter. Good luck! 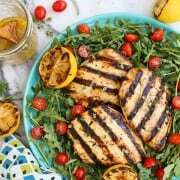 And to see the previous recipe I created for Gold’n Plump, my Herby Grilled Chicken Kebabs with Grapes and Shallots, click here! In a small bowl, whisk together honey, sriracha, and vegetable oil. Heat grill to high (475° to 500°). 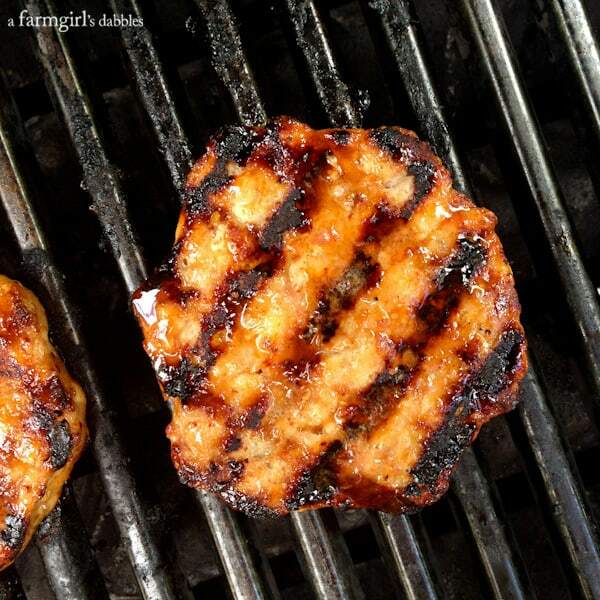 Place frozen chicken patties on cleaned and oiled grill grates. Grill for 3 to 4 minutes. Flip chicken burgers over and grill for another 3 to 4 minutes. Brush honey sriracha sauce onto top side of chicken burgers and then flip again. Grill for about 2 minutes, brush top side of chicken burgers with more honey sriracha sauce, and then flip and grill for a final 2 minutes. For extra honey sriracha flavor, brush on more of the sauce, if desired. 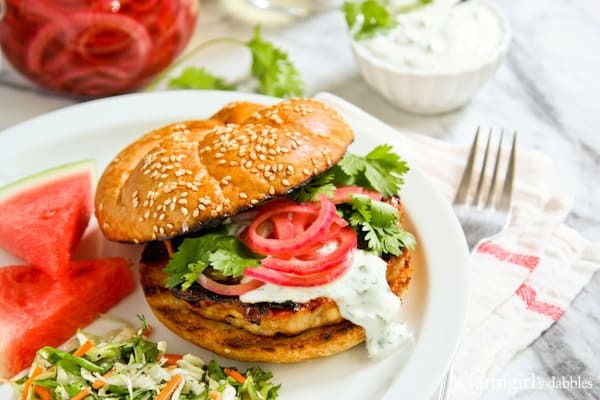 Place grilled chicken patties on toasted buns, and then top with cilantro cream, pickled onions, and fresh cilantro leaves. This post is sponsored by Gold’n Plump, a chicken brand based out of St. Cloud, Minnesota. 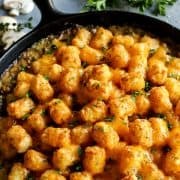 The brand’s good chicken mission centers on providing truly all natural products that are highly trimmed of fat and free of unwanted solutions. GNP Brand, the company behind the Gold’n Plump brand, employs about 1,600 people and partners with nearly 350 family farmers in Minnesota and Wisconsin to produce wholesome, high-quality chicken. I am partnering with Gold’n Plump this year to bring you delicious new chicken recipes from our kitchen and backyard grills. All opinions are 100% my own, as always. Thank you for supporting the brands that help make this site possible! I love it, especially with Cilantro Cream and Pickled Onions. I hope you like this, Anna! These are my kind of burgers – lean and layered with lots of bold flavors! I just love it – now I need to find those chicken burgers! 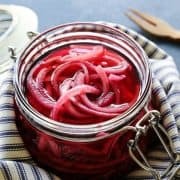 I am a true believer in your pickled onions, so I am quite pleased to see them in another recipe. I had them on a burger with sweet & spicy mustard and sweet pickle relish. Divine! Maybe over the top, but I loved it. 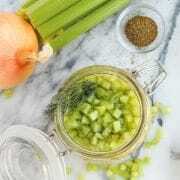 Keep the onion recipes coming – Bloody Mary perhaps? Love the sriracha and honey together for a sauce for the chicken. I checked at our local grocery store for the chicken patties and they don’t carry them(BOOO!). I will check at the other chain grocery stores as I think they carry them. Can’t wait to try this! Thanks, Wendy! I hope you can find these chicken patties! Oh my goodness Lady! Did you make one awesome chicken sandwich!!! Often I like chicken burgers more than hamburgers. I know that sounds almost un-American, but that’s my story and I am sticking to it. This is my kinda burger! I need to get my hands on those patties! The flavors of this burger sound incredible! Loving the pickled onions on this! I’ve never seen these burgers- definitely keeping my eye out! 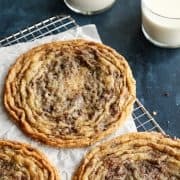 This sounds amazing! I like the addition of the cilantro cream and pickled onions. I could add cilantro to just about everything! I seem to buy more and more cilantro all the time! What a fabulous burger and those toppings sound outrageously delicious! This is my kind of burger- so delicious with those pickled onions! I so love these flavors going on in this burger!! 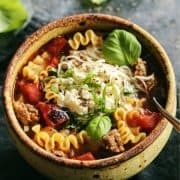 Perfect easy family meal for busy nights! I just mixed Gold’n Plump ground chicken into our pasta last night! I’m such a fan of the brand and it’s mission, and now I have a seriously tasty use for their patties. Love it! Thanks Brenda.